Click the location on the map or enter into the “Restrict records by:” search box. Hint: Clicking the map is an easier place to refine a search in the United States. You can search indexed collections for that location on the top of the page. 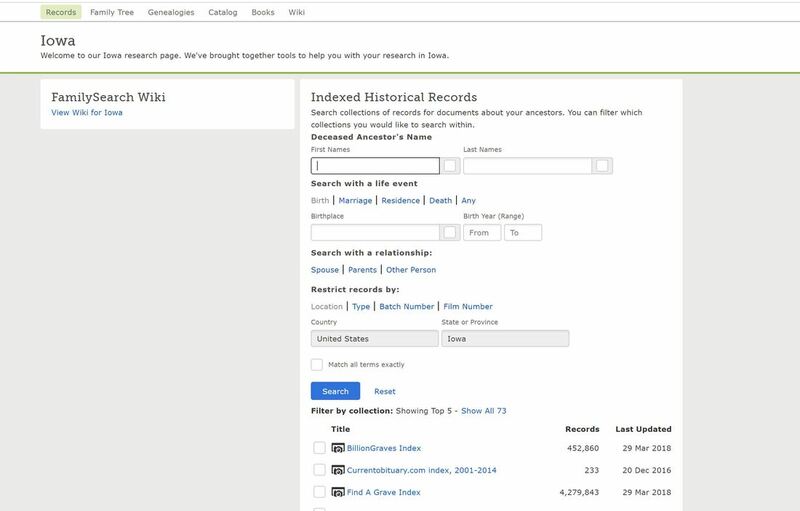 ​Note: This is the MOST EFFICIENT WAY to search the FamilySearch Wiki. No more guessing the search terms needed to get the results you are looking for. After locating a Wiki page, look for an “Online Records” link for that location. 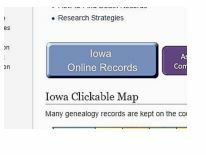 ​FamilySearch Catalog information is located under the BROWSE HISTORICAL RECORDS section. Image only Historical Records are listed at the bottom of the page. Browsing these images is easier than you might think. Most collections are divided into smaller sub-sets of records. 1--Click on the desired record and a 2--description of the collection will come up. The “Learn more” option will give further details about the collection and tips for searching. 3--Click “Browse through #### images” to get to the actual collection. Before clicking on a sub-set of the record, note if one of the choices is an “Index to the Collection” or other Information about searching the collection.